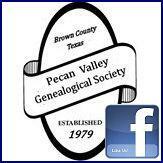 Brownwood Mar 11, 2019 by Danny Jones- The Pecan Valley Genealogical Society membership dues are now being accepted in person at the library branch at 213 S. Broadway, Brownwood, Texas 76801 or by mail. Our third meeting of 2019 lead by President Elaine Coleman was at the above address starting time of 6:30 p.m. There were about twelve in attendance and all were members. 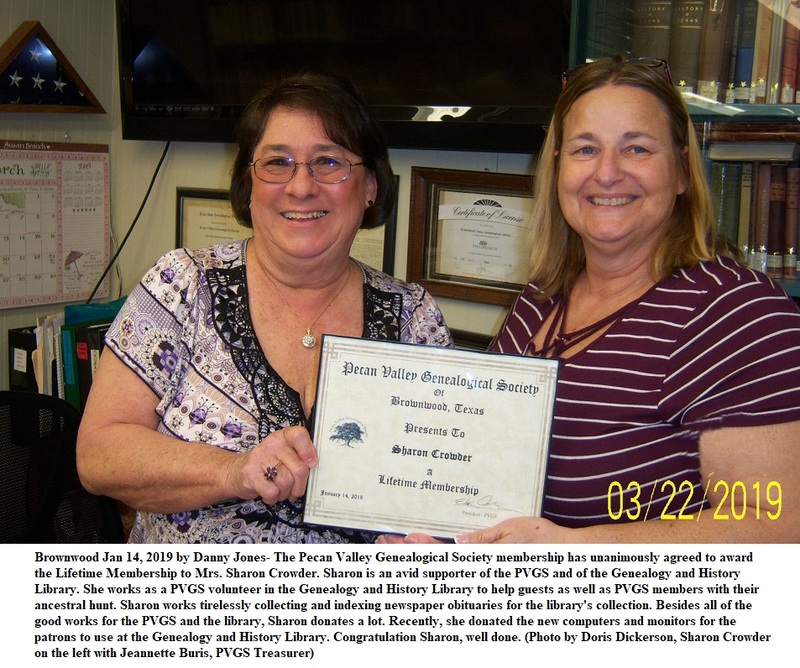 Business was tended to and then a program was provided by Mr. Danny Jones about "Heart of Texas Veterans Memorial", a virtual memorial and registry. A door prize was given.